The number of Conferences on ELT in National and International level really inspires a person to look into the causes behind the recent rise of English language. A research interest in this cause brings out the fact that though English came into public use centuries back, this colonial/commercial tongue came to the lime light during the recent past. In the last few decades there has been a sudden awakening towards the importance and need of the EL acquisition all over the world. A daring attempt to look into the reasons for this mighty growth of English language into the status of an omnipotent language leads one to the fact that it is the emerging life style, social set up and global requirement that has fuelled this rise. The factors that made the society bring up English language to this status opens up as a highly significant topic for discussion. Everybody thinks about the impact of language and literature on society; but here we reverse the order and call attention to how the social changes influence language and literature. 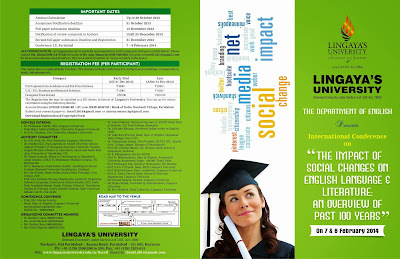 It is the social requirements that raised English language to its present status. A glimpse into the background of it shows that the society underwent a lot of changes; and the impact of those changes resulted in the luring position of English language in the global context. A study of the past 100 years shows the various changes society faced in the field of industrialization, (information technology) technology, politics (administration), international crime, economy, education, gender equity, urbanization and globalization. The result of all these changes and challenges is globalization and the need of a common language for the people of this small village called world. For business, for education, for science and technology there was the need for a common language. Thus rose up the most popular language English to the status of global language. Now with the changing scenario in the utility and importance of English language there is a change in its form and structure that has occurred especially in the SMS, Email & Business writings. Any other theme related to the Conference topic can be taken for paper presentation. 1. We welcome original full papers from students, Research Scholars, English faculty members, Sociologists and the lovers of English Language & Literature on any of the above mentioned subthemes or related topics. 2. We also invite proposals for workshops on Innovative EL Teaching methodologies by experts from the field. 30 to 45 minutes will be provided for the workshop. The applicants should mention their requirements for the workshop in the proposal. 3. An abstract of the proposed paper in about 200 words and the proposals for the workshops should reach to the email id tiscell.2014@gmail.com or antony.omana.bg@gmail.com by 25 September 2013. The list of the selected abstracts and proposals will be informed by 30 September 2013. 4. The paper in Times New Roman 12 font (latest MLA style) constituting maximum of 2500 to 3000 words on the selected sub-theme, with an Abstract in about 200 words and a short profile with all the necessary details should be sent to tiscell.2014@gmail.com or antony.omana.bg@gmail.com latest by 15 November 2013. 5. Each Paper presenter will get around 10-12 min for oral presentation of the paper. 6. Registration may be completed by 16December 2013 by the candidates intimated for presentation. 1. Highly renowned Speakers & Resource persons. 2. 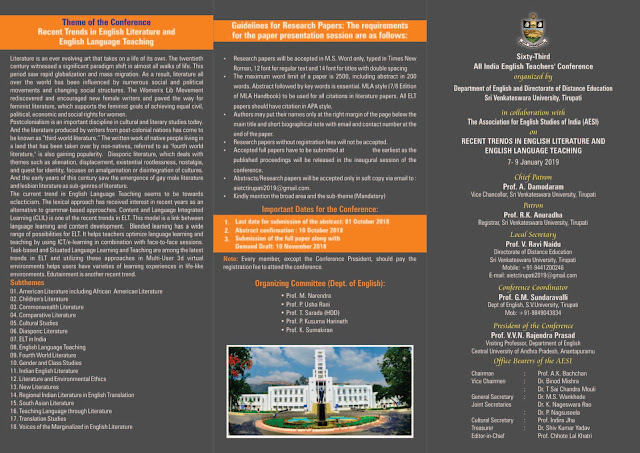 Opportunity to interact with experts from the field of Linguistics, Literature & Sociology. 3. Panel Discussion on highly innovative topics. 4. A Reading Session on actual samples of writing by the prominent literary authors. 5. Workshops on innovative essential topics with very useful tips. 6. The selected best Paper presentations, the best FIVE papers and the most effective workshop will be awarded in the Valedictory function. 7. Certificate for every registered candidate who attend the conference, who present papers and those who conduct workshops. 8. No certificate in absentia. 9. Publication of papers in book form with ISBN code. 10. 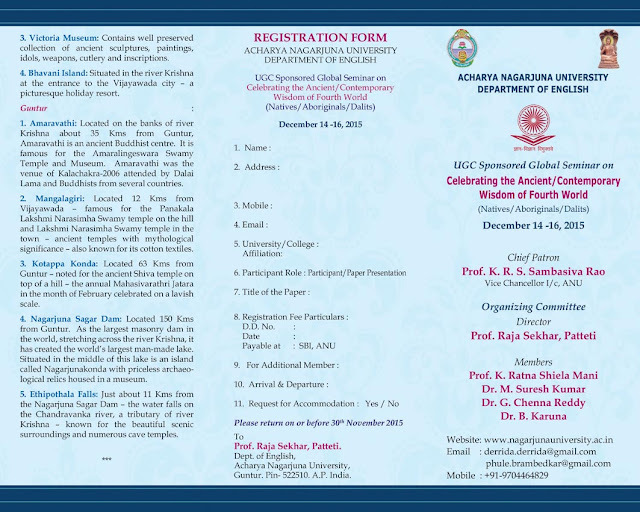 Digital version of the whole proceedings with the full papers to all the registered participants. Arrangements can be made for accommodation in the campus as well as in outside hotels. Please contact Ms.Preeti Sharma at tiscell.2014@gmail.com for all accommodation related matters. We have a limited number of rooms available in the hostel. One registration is applicable for two days. The charges include conference kit, conference proceedings, transportation, meals, refreshment etc. · Dr.Usha Bande, Noted Indian author, Retd. Principal, Govt. College, Arki. · Dr.Lakshmi Kannan, Renowned Indian writer in English, Delhi. Thank you very much for the latest and useful information about the seminar and conferences. I request you to continue your effort for the research and teaching community. Thank you for your information regarding the conference.please continue the same for helping the english teaching community. GMR IT, Rajam, Srikakulam Dist. A.P.